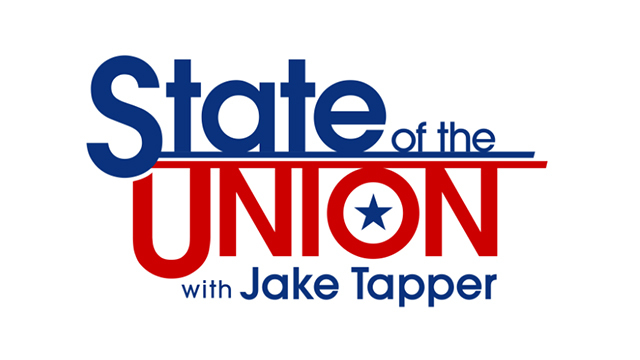 Today on CNN’s State of the Union, former Governor Jeb Bush (R-FL), GOP presidential candidate, joined CNN chief political correspondent, Dana Bash to discuss last night’s GOP debate, the South Carolina primary, and the death of Supreme Court Justice Antonin Scalia. [BASH]: Governor Bush let’s start with the passing of Justice Scalia. Sen. Cruz, Sen. Rubio, and Senate GOP Leader Mitch McConnell all say that the next president should replace Scalia, not president Obama. At the debate it sounded like you disagree, what is your position? [BUSH]: No, I think President Obama is going to submit a nominee and all likelihood this person will be out of the mainstream and will be rejected by the Senate. That’s his prerogative, he has every right to do it. The Senate has every right not to confirm that person. And that’s what I said. He clearly has the power to do it. But given his choices of Supreme Court Justices in the past, the Senate of the United States should not confirm someone who is out of the mainstream. [BASH]: But if I could just clarify, right now, it sounds as though the Republicans who run the Senate are not going to even schedule a vote. Do you think one should be scheduled? CNN CHIEF POLITICAL CORRESPONDENT DANA BASH: Joining me now is former Governor Jeb Bush. And Governor Bush let’s start with the passing of Justice Scalia. Sen. Cruz, Sen. Rubio, and Senate GOP Leader Mitch McConnell all say that the next president should replace Scalia, not president Obama. At the debate it sounded like you disagree, what is your position? BASH: But if I could just clarify, right now, it sounds as though the Republicans who run the Senate are not going to even schedule a vote. Do you think one should be scheduled? BUSH: It’s up to Mitch McConnell. It is not important to me. BASH: You mentioned what kind of Supreme Court nominee you would pick, you know this, a lot of conservatives still haven’t gotten over the fact that your father chose David Souter for the Supreme Court. A lot of them are still smarting over the fact that your brother’s choice for Chief Justice John Roberts ended up as someone who helped save Obamacare. Isn’t this a problem for you that this whole question of a Supreme Court nominee is front and center right now given conservative skepticism? BASH: Let’s talk about the debate last night. You and Donald Trump went at it again. A lot. There is so much heat (JB: Yeah) between the two of you. You really don’t like each other do you? BASH: And governor, somebody who is coming to your aid joining you on the campaign trail tomorrow for the very first time is your brother George W Bush. You have been a Presidential candidate for 8 months. Why now? BUSH: Cause we’re nearing the beginning of this process and I think there’s a lot of interest in my brother coming and he’s been helpful all along in a lot of different ways giving me advice and helpful me raising money doing all sorts of things but this was the appropriate (DB: But…) time for him to do something he’s not done. BASH: Yeah, no he hasn’t. BUSH: He hasn’t been a-he hasn’t done anything public during his, since he left office. So this. This is the right time. Right when the interest is-when it’s important and when people are watching. BASH: You say that but in Iowa and NH and even before those votes were taking place, maybe he’s controversial figure in general, but as you well know with GOP he’s quite popular still why did you wait this long? BASH: Any regret? Any regret about waiting this long, you know at this point, at the beginning you were riding high but now you’re struggling for survival. BUSH: Well I feel like after 3 or 4 obits have been written I’m still alive and hanging in there and making good progress and my brother will help me a lot. BASH: How will he do that? BUSH: The point is, Is he a popular republican? You bet he is. And he will make the point, I think I hope tomorrow, that he knows what it takes to be president of the united states to be commander in chief to keep the country safe and that he believes that I have those skills based on my record and based on how he knows me, and that will be validator in SC where values matter and where national defense matters a lot. So I’m looking forward to the event we should have a great crowd and it’ll help my campaign a lot. I also know I have to share my record and who I am- it’s not a delicate balance at all, it’s adding . It’s Yes I’m a bush I’m proud of it, I’m proud of my brother my dad my mom, I’m proud of every Bush, I love them dearly. and I have a story to tell, and I have detailed plans to fix the mess in Washington DC. And that’s what the campaign’s about. BASH: and lastly, SC is state that rescued your brother’s campaign in 2000, do you need to finish third to keep going? Where do you see your real goal, candid goal for SC in terms of your long term prospects? BASH: So no matter what you do or how you finish in South Carolina you’re moving on. BUSH: My expectation is I’ll beat expectations here. BASH: Alright Governor, thank you for your time. Appreciate it. BUSH: Thanks. thank you very much.